I rarely buy perfume for myself, I am lucky enough to get my favorites as gifts from friends and family. On rare occasions, like when I was killing time in Dubai duty-free on my way back to Pakistan, I do get tempted and give in to lust. I got VERSACE Eros Pour Femme at first sniff. The bottle is simply beautiful. Gold, one of my favorite color, just add that immense richness of value. 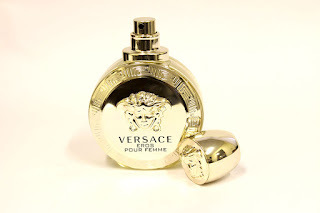 The finishing and design, details of the signature Versace Medusa head, obviously, made this product more enticing. The overall packaging is quite elegant and you feel so good just holding the bottle. The gold bottle comes in a slide open box with velvet lining. 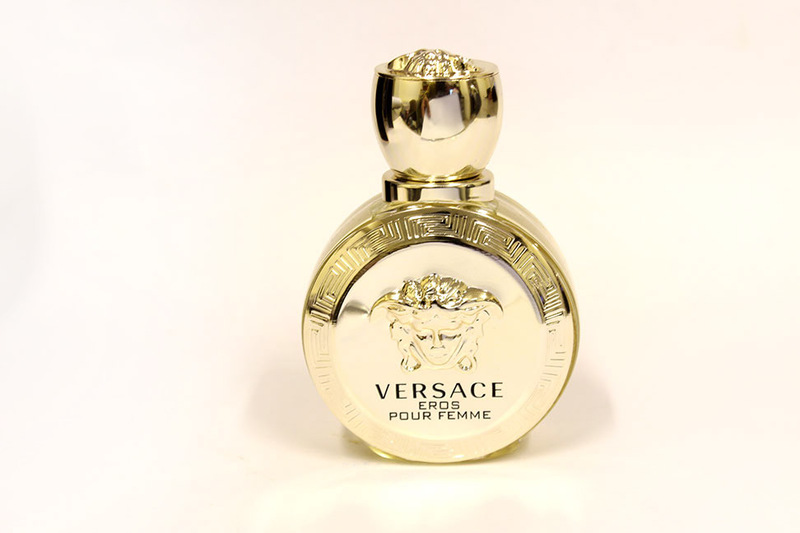 This perfume has mixed reviews and the truth is you will either love it or hate it. In my case, I kinda love it despite the hate from some perfume critics. The team behind this perfume is quite iconic. Eros Pour Femme was created by perfumers Alberto Morillas (CK One, Dalí, Iris PrimaMugler Cologne & Opus VII), Olivier Cresp (D&G Light Blue, Juniper Sling and Angel) and Nathalie Lorson (Dita Von Teese & Black Opium). When you first spray it on the smell is intense, almost intoxicating (the sniff that made me buy this, I suppose). The top note was fresh and citrusy, I honestly didn't smell the pomegranate part though I am sure it played a role. After a while the fragrance turns floral, this is where Jasmine completely dominates. The sad part, however, is that I enjoyed the heart note the most, but it turns musky way too soon and then I end up smelling nice but not exactly like I really wanted to. 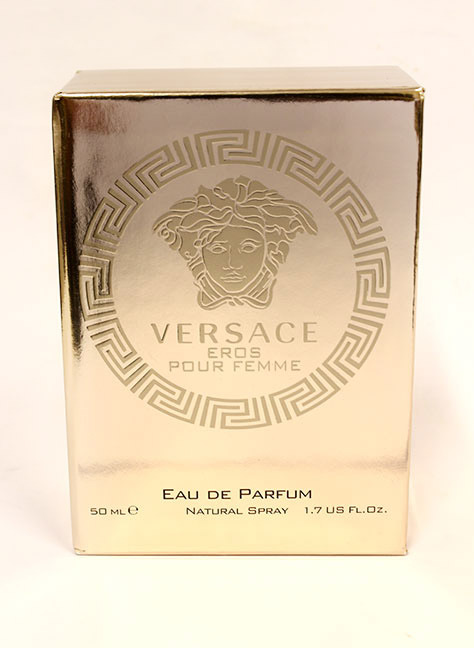 It doesn't disappoint me though, the fragrance is exciting and I prefer it for formal dinners. A fragrance for every event is always the right way to go, although your mood does count, or the mood you want to put someone else in. 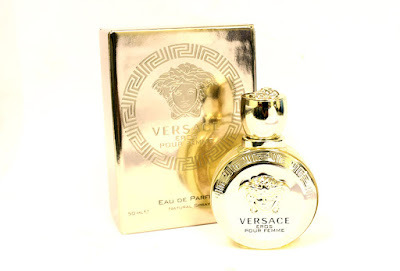 Versace Eros Pour Femme has a mature scent and not for the youth. It has a beautiful age like essence, like fine wine, that can not be overlooked. 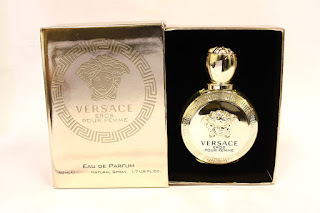 I bought mine from Dubai for $120 (50ml), but luckily this is also launched officially through SCENTSATION, a chain of outlets in Pakistan, known for bringing us our favorite original brands from all across the world.